USB/RS232/RS485 to solid-state relays, mechanical relays, analog I/O, digital I/O, 4-20mA current loops, load cells etc. 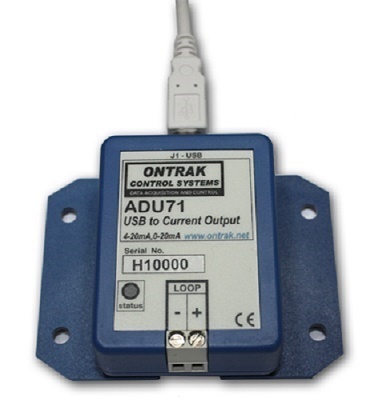 The ADU71 USB to Current Output provides a 4-20mA or 0-20mA output. Internal 24VDC loop power supply. USB Relay I/O Interface with 5.0 amp rating and isolated inputs. 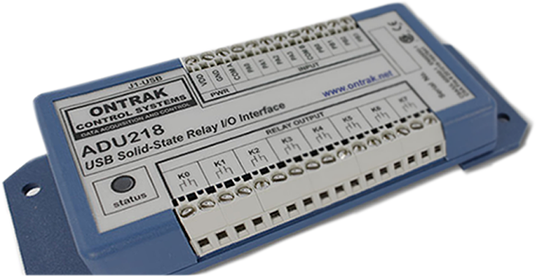 The ADU218 USB Solid-State Relay I/O Interface features 8 photoMOS relays that switch AC or DC loads. 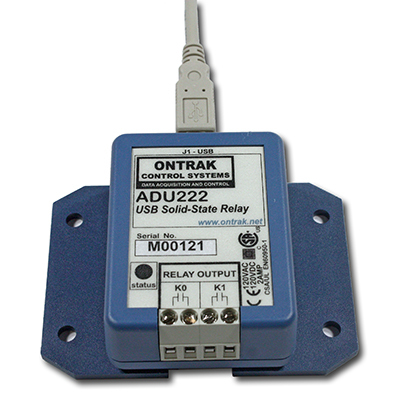 The ADU222/252 USB to dual SSR switch AC or DC loads with advanced PhotoMOS Solid-State relays. 2-amp and 5-amp versions available. FLANGE mount now available at no charge for all ADU products. DIN RAIL mount now available for all ADU products. A $5 surcharge applies to the DIN RAIL option.